Chairman / CEO – GVR Lanka (Pvt.) Ltd.
Mr. Mahasen Samaravijaya, is a visionary Leader, Founder, Chairman / CEO of GVR Lanka (Pvt.) Ltd.- GVR Technologies Inc., a provider of Asian electronic outsourcing solutions to US manufacturers- GVR Lanka (Pvt) Ltd. was established in Sri Lanka to support the investment goals of developing real estate projects in the country for Serendip Investment Group LLC, an Arizona based company also founded and managed by Mr. Samaravijaya. He is the founder of Interface Data Systems (IDS) and served as the company’s Chairman and CEO from 1991 to 2003, which was consistently ranked amongst Arizona’s 50 Fastest Growing High Tech Companies. During the Clinton Administration, Mr. Samaravijaya represented Arizona at both the White House Corporate Citizenship Forum and the One America Program in Washington, D.C. He was the former member of the City of Phoenix Economic Development Advisory Council and served on the Board of the Enterprise Network, a leading Arizona entrepreneurial organization. As a financial supporter and Board Member of an international not-for-profit organization, the One Sri Lanka Foundation, he contributes towards the development and implementation of humanitarian projects within the Sri Lankan community. 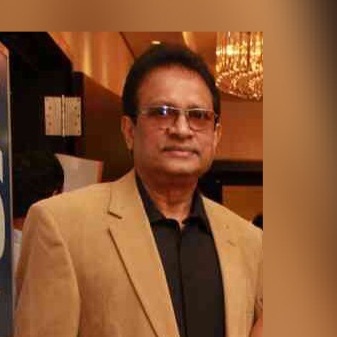 Mr Samarawijaya is a patron member of the Ceylon Chamber of Commerce; Sri Lanka. 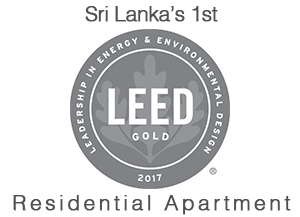 Board Member – GVR Lanka (Pvt.) Ltd.
Mr. Mohan Chandramohan was the former Chairman and Chief Executive Officer of American Reprographics Company (ARC), a publicly traded entity listed on the New York Stock Exchange. He also served as the COO and CFO of U-Save Auto Parts Stores Inc., an automotive aftermarket retail chain headquartered in Los Angeles, California. In Sri Lanka, Mr. Chandramohan was with the Overseas Trust Bank Ltd., where he specialized in International Banking. Currently he serves on the boards of a number of organizations – in both non-profit and for-profit entities – most notably, Pitzer College (Claremont Colleges), Greater Los Angeles Zoo Association (GLAZA), Flintridge Preparatory School, and the Pasadena Independent Schools Foundation (PISF). He holds a Master of Science degree in Management from Hautes Etudes Commerciales (HEC). He has also completed post-graduate programs in Management at the University of California in Los Angeles and the University of Oxford in England.